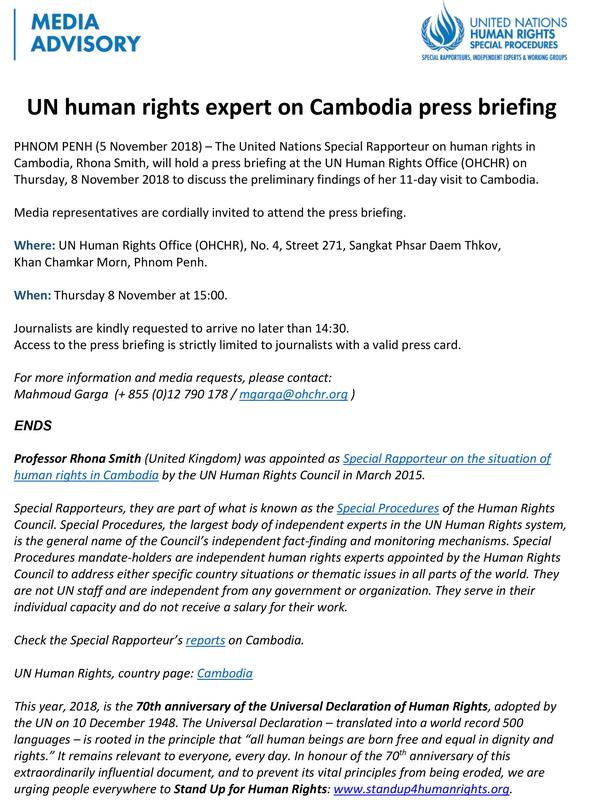 Phnom Penh (FN), Nov. 5 – The United Nations Special Rapporteur on human rights in Cambodia, Rhona Smith, will hold a press briefing at the UN Human Rights Office (OHCHR) on 8 November 2018 to discuss the preliminary findings of her 11-day visit to Cambodia, according to the media advisory dated on Monday. 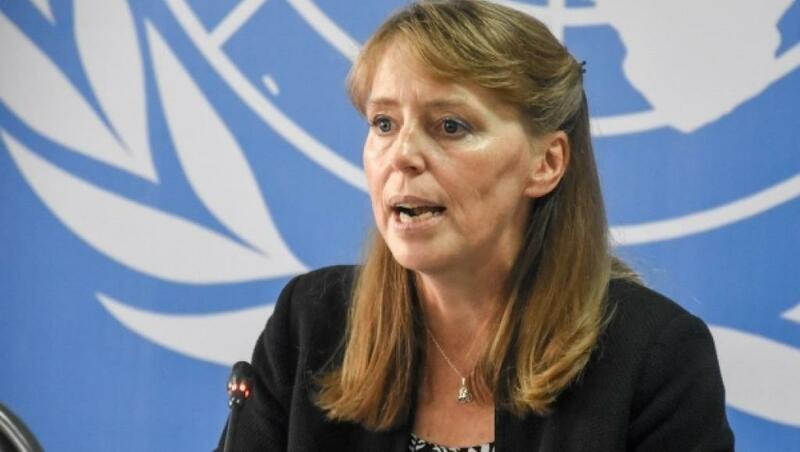 Media representatives are cordially invited to attend the press briefing at UN Human Rights Office (OHCHR), No. 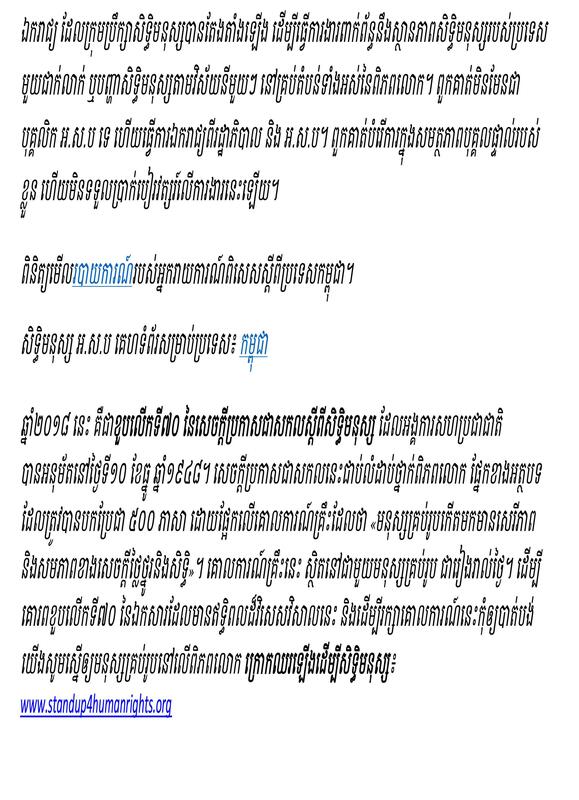 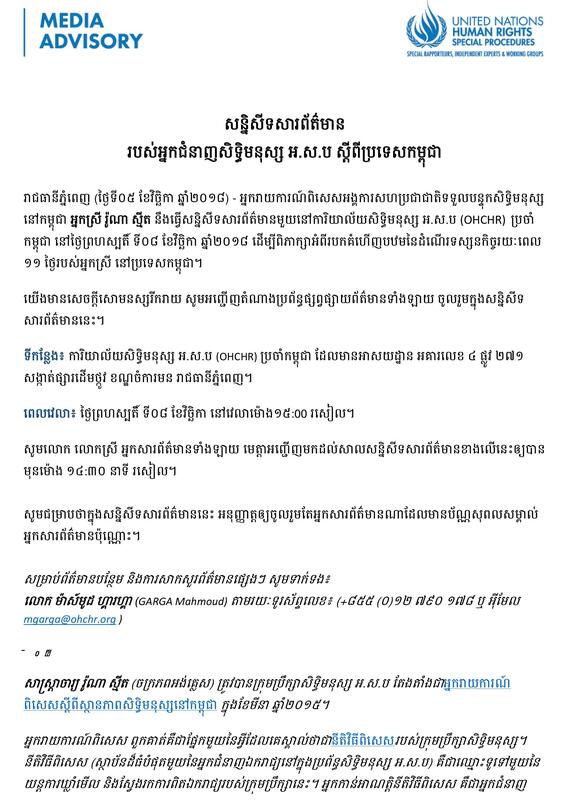 4, Street 271, Sangkat Phsar Daem Thkov, Khan Chamkar Morn, Phnom Penh on Thursday at 15:00.